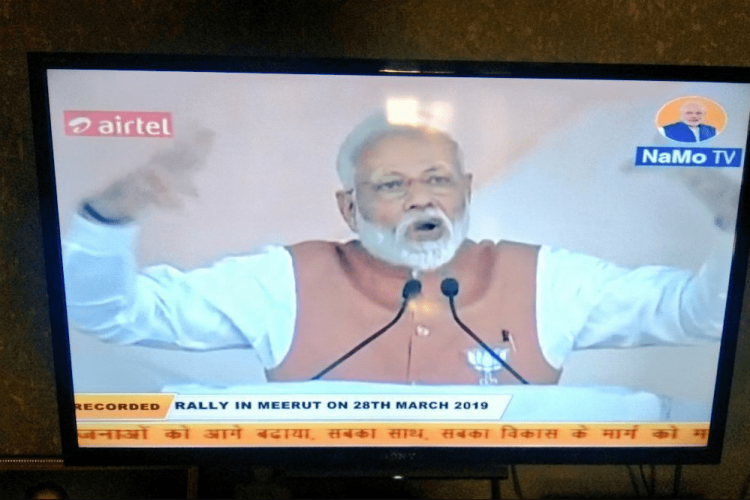 A new channel named, "NaMo TV" was created to broadcast the rallies and speeches of PM Modi ahead of the Lok Sabha elections. But the channel has now landed into trouble after the Congress and AAP complained to the Election Commission on Monday. Interestingly, the channel does not have permission from the govt for its broadcasting in the country. Congress in its memorandum to EC said it is advertising his achievements.